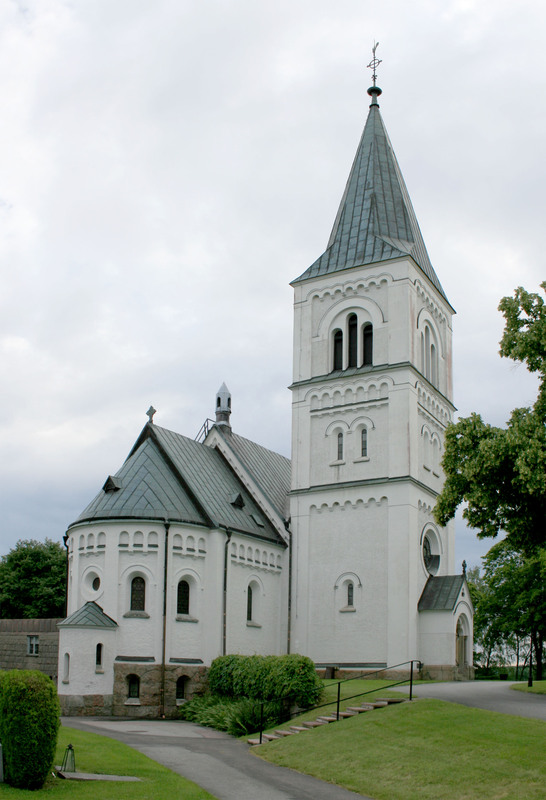 The current Sura Church was constructed in 1890-1892, designed by architect Gustaf Petterson. It was built on the highest point of the ridge next to the old church. Bishop Godfrey Billing consecrated it August 21, 1892. In 1935 the church was renovated with the interior receiving vaults. December of 1935, it was reinstated by Bishop Einar Billing. Of the old Sura church little remains. It was originally built in 1671, made of laid timbers. In 1684 it was clad with wooden shingles. When the new church was dedicated it was abandoned. In 1911 it was restored to a new life as a meeting hall and community center. In 1967 it was reopened as a church once more. In 1998 the old church was completely destroyed by arsonists except for the vestry. It was decided not to rebuilt. Instead a memorial of the old wooden church was made of its one surviving part.